Even though the Jogvision has been out for almost two years, we finally got one in the lab for the full out video review treatment. The Hercules DJ Control Jogvision has metal top jog wheels with LED indicators on them to make it easier to juggle, scratch, and cue the music without looking at the computer screen. Check out our quick unboxing video and stay tuned for the full review coming very soon. 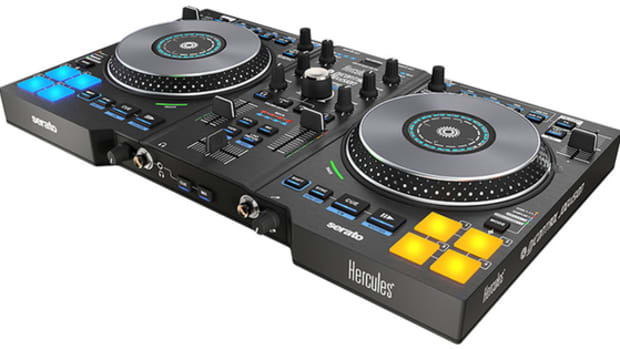 Hercules has recently released its newest DJ controller called the DJ Control Jogvision. The Hercules DJ Control Jogvision has metal top jog wheels with LED indicators on them to make it easier to juggle, scratch, and cue the music without looking at the computer screen. Hercules has just released a new tutorial video that shows just how much detail the LED rings on the Jogvision controller actually displays. 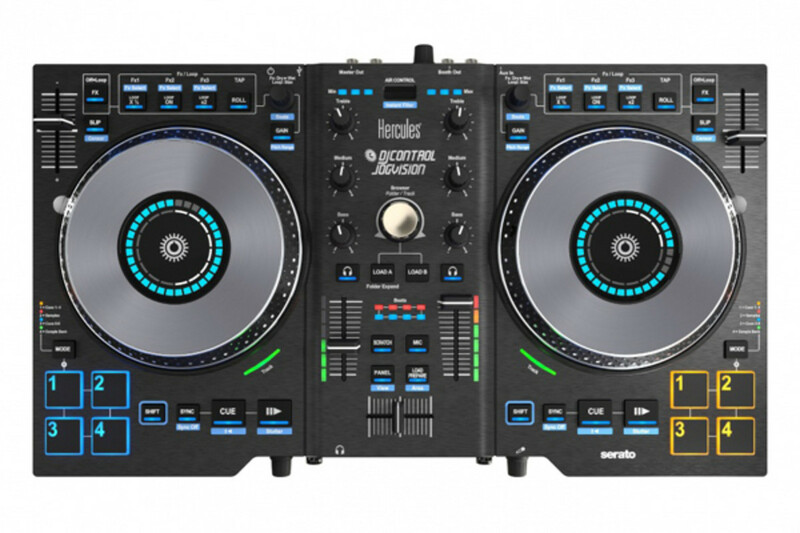 Hercules has recently released its newest DJ controller called the DJ Control Jogvision. 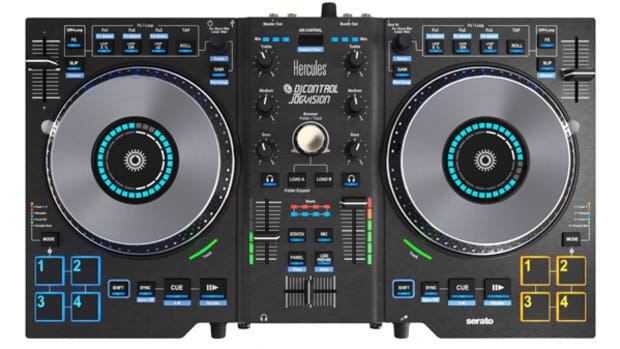 The Hercules DJ Control Jogvision has metal top jog wheels with LED indicators on them to make it easier to juggle, scratch, and cue the music without looking at the computer screen. Hercules has just released a new tutorial video that shows users how to cue and scratch using the new jog wheels and displays. Hercules has recently released its newest DJ controller called the DJ Control Jogvision. The Hercules DJ Control Jogvision has metal top jog wheels with LED indicators on them to make it easier to juggle, scratch, and cue the music without looking at the computer screen. Check out this quick Demo video by DJ Spawn and Hercules that shows how well these new Jogvision Jog wheels really hold up to abuse. Hercules has recently announced its newest DJ controller in its lineup called the DJ Control Jogvision. This compact controller has a few things going for it that will make it stand out from the other Hercules offerings. The Hercules DJ Control Jogvision sports new metal top jog wheels with LED indicators for track feedback. 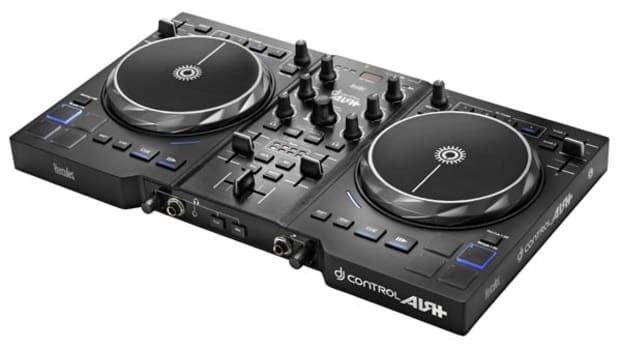 The DJ Control Jogvision also comes bundled with Serato DJ Intro and has the cool "Air" motion sensor controls for effects and other functions. Hercules has recently released its newest DJ controller called the DJ Control Jogvision. The Hercules DJ Control Jogvision has metal top jog wheels with LED indicators on them to make it easier to juggle, scratch, and cue the music without looking at the computer screen. The Jogvision is the first Hercules controller to come bundled with Serato DJ Intro and it has the "Air" motion sensor controls for effects and other functions. Hercules has just released a new tutorial video that shows users how to use the drum pads. The Hercules DJ Console RMX 2 Digital DJ controller has a very compact frame and an all-metal chassis making it perfect for the DJ on the go and people looking to DJ with a small footprint. There's still a good number of features including four performance pads over each jog wheel that can control effects, cue points, loops, and samples within the included Virtual DJ software package. The Hercules RMX 2 is now in the Lab for a full HD-Video review which will be completed shortly. Watch the unboxing and first impressions video after the jump. 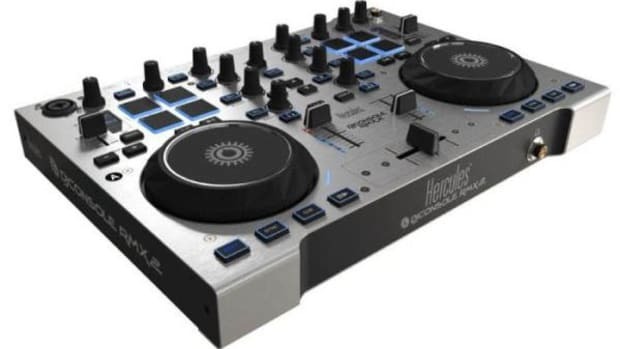 Some time ago, we reviewed the Hercules RMX-2 and the 4-MX DJ controllers which were both made of metal and had lots of professional features for all levels of DJ's. This week, we received the newest Hercules DJ controller called the Control Air+ (Plus) which is an update to the first Control Air which is the first DJ controller to integrate an IR sensor to control effect parameters. The Control Air+ has an updated layout and more features than the original.